Running a pub will take some training or experience and will also be the kind of job from which it will be difficult to take time off. There are, however, a lot of people who aspire to own a pub of their own. This article will help you get to the bottom of what it really takes to run a pub. Ideally, you'll have experience of managing a bar before you consider buying a pub. You'll also have arranged the purchase, completed due diligence and other necessary steps when buying a business. Of course, if you can afford to buy a pub as an investment and hire a manager then it's less than critical to have worked in a pub previously. But the majority of buyers are lifestyle purchasers, and anyone dreaming of laid-back evenings regaling locals with anecdotes is in for a surprise! The experience of Steve, a 52-year-old former teacher, is salutary. With only university bar experience to draw on three decades before, he bought a pub in the idyllic Cotswolds region. But running a pub is tough, whether it's in inner-city Glasgow or picturesque Stow-on-the-Wold. "When I thought about giving up teaching, I only wanted to run a pub - so I just went for it," he recalls but admits: "I am beginning to think it was a mistake. Financially - the pub is not doing so well. "I probably didn't do enough research. I looked at various websites and visited two pubs before I decided on this one. "Now I wish I had looked more carefully before making my final choice. Running the pub is a lot harder than I first thought - there is more to it than just bar work." Another pub buyer, Debbie D'Abreu, drew on a wealth of experience and consequently had a very contrasting experience as a publican. "I was in the trade for eight years," she says, although admits "that was almost 10 years ago now. My ex-husband's father was a partner in a pub chain. I started out as a barmaid, worked my way through the ranks and ended up as a manager." The hands-on experience of actually managing a bar has been invaluable, although Debbie says she still felt the need to take an additional one-day course, which "has helped me learn more about the business side of things." John York, southern recruitment manager at Punch Pubs, describes the ideal candidate to run one of the national chain's portfolio of managed pubs: "For leasing and tenancies we are looking for business partners with entrepreneurial flair," he says. They also identify people skills, the ability to handle money, and a willingness to work unsociable hours as fundamental. "People have a number of backgrounds - but enthusiasm is vitally important," he adds. Not all publicans in the group have much - sometimes any - direct experience of the trade, admits York, but the majority are familiar with working unsociable hours, whether as milkmen or merchant bankers. John Gower, who has overseen the sale of pubs as operations director of business transfer agents SBS Commercial, echoes York's warning over working hours. "Don't buy a pub just for the social life," he cautions. "A lot of people have the dream of retiring, buying a pub in the Lake District and living a quiet life. "But the brewery will deliver first thing in the morning, bar opening hours are lengthy, and you will have to stay half an hour after closing time. And you have to organise your orders. The nearest comparison is the hotel industry." But it's not just an endless slog. "It is a way of life, and for the right person, it's a fabulous and sociable way of life," insists Gower. "I've met many people who've been in the industry for 20 or 30 years and thoroughly enjoyed it." 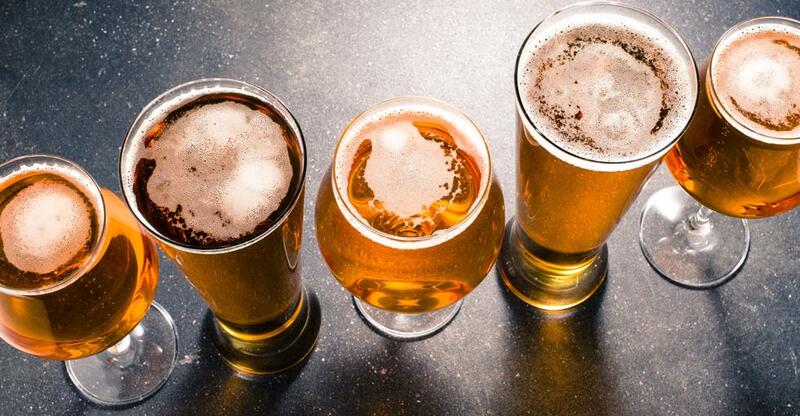 Adam Smith, head of retailer recruitment at Punch Taverns, the umbrella group for Punch Pubs, says: "Running your own pub can be a very attractive proposition: being your own boss, working in a social environment and being at the hub of your local community. "But there's more to running a pub than simply chatting with the locals and pulling the odd pint. It's a big commitment - you will need to live and breathe your business 24 hours a day, seven days a week. "At the same time," he adds, "running a pub can be great fun, profitable, and very rewarding for you and your family. If you're well prepared and work hard, the satisfaction and rewards will make your efforts worthwhile." It's not just about having the skills specific to running a bar; there are certain fundamental qualities needed that are required in any business. "You must have a good business head and develop and continually review a robust business plan - you cannot rely on people skills alone," says Smith. "You will also need to be able to spot opportunities in the market. "Researching your local market is key to staying in tune with your customers. Talk to them, ask them what they want and make sure they are happy." The need to be a 'people person' is a theme that seems to recur more than most. "You must be able to work with people - from customers, staff and neighbours to suppliers and local authorities," adds Smith. "Your staff will also look to you for leadership and direction. You will also be responsible for their training, discipline and personal development." If you buy a pub through Punch Taverns then there is plenty of support, he says, but you still need to be self-motivated and independent-minded. "You're not on your own if you buy a pub through Punch Taverns - our experienced business relationship managers are there if you need them - but ultimately it's up to you to run it your way and reap the rewards." He also points out that before you can become a landlord you need to get a personal licence from your local council. First of all, you must complete the National Certificate of Personal Licence Holders (NCPLH) qualification. Feeling ready to buy a pub? We've thousands of pubs for sale in the UK right now, find yours today! BusinessesForSale.com spoke to East London landlord, Peter Sheehy, to give us an insight into how to run a pub.